We invite our pathology colleagues to submit abstracts for presentation and / or to simply join us as we are enlightened by Prof Peter Moore and the interactive discussion sessions at the International Society of Veterinary Dermatopathology (ISVD) annual meeting, in Bordeaux. France, which will be held on May 31st 2016! The ISVD annual meeting precedes the 8th World Congress of veterinary Dermatology where the ISVD will also be hosting wet-labs. Free Communications are oral presentations of approximately 12 minutes length. 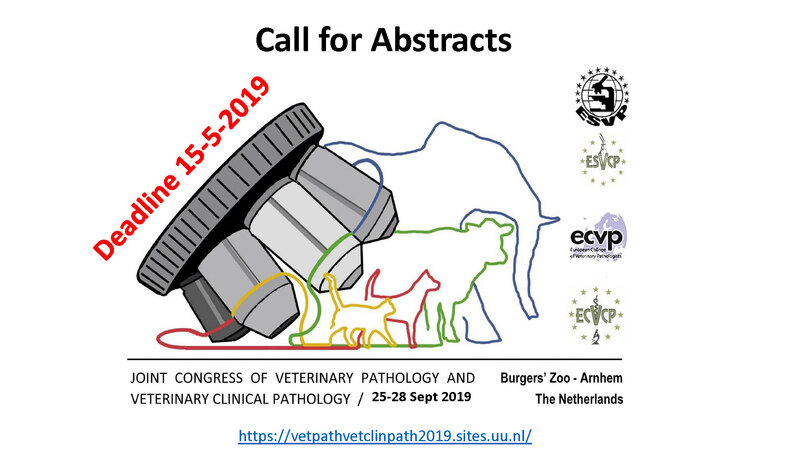 Abstracts will be included for publication in the Congress abstract supplement of the Journal Veterinary Dermatology; a manuscript is not required. I look forward to welcoming you to Bordeaux in 2016.